Portal-driven services delivered from a digital marketplace are a must in today’s market. Businesses and consumers demand more control over their service experience by purchasing and controlling their services through a self-service portal. With the move to virtualization, VNF onboarding accounts for only 10 to 15 percent of the effort involved in delivering an on-demand, digital marketplace and populating it with services that are ready to be consumed. 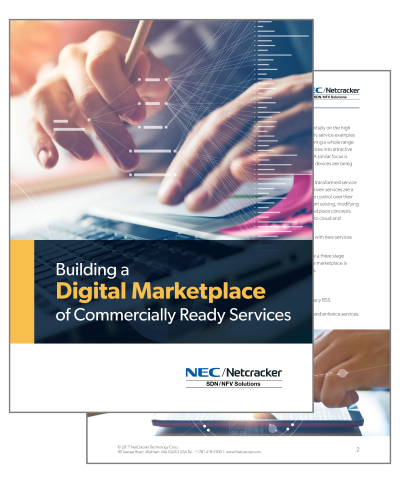 This short paper provides a three-stage approach to delivering a robust digital marketplace populated with a continuous flow of commercially ready, virtualized services. Sign up and get the complimentary white paper. © 2019 NetCracker Technology Corp.